Equi-Heart Pledge: Day 26: The Gift of Purging and Releasing with Horse! 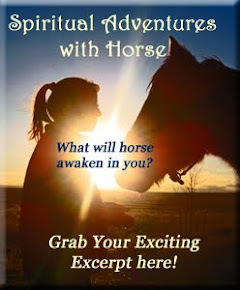 Day 26: The Gift of Purging and Releasing with Horse! As we've been talking about, healing is like peeling the layers of an onion to reveal your true self, your core being inside. But sometimes we come upon not just the next layer- but a whole reservoir of old energy that needs to be purged! Yikes! When that happens- sometimes things can feel worse before they get better. And in the throes of that yuck- it's easy to curse the discomfort of emotional pain. When you hit a reservoir of pain what is your instinct? To pull away, to run and hide? To wait and hope it goes away? Those are natural instincts to lessen the impact of pain. But the only way to really release the pain (instead of covering it up) is to lean into it, to delve more deeply into the heart of it and allow it to transform itself. In that case, the sooner you go into the dark, the quicker you'll come out into the light! To feel it is to heal it. And so thanks to Horus for the reminder that everything that comes up, is coming up to go OUT! Which means all that yuck is really a cause for celebration- because once the pain is excavated, it can dissolve in the light of day. So join me in Horus' challenge to see everything that comes up in the next 6 weeks as a Gift of Releasing the Dark so more Light came flow through you! What pain do you need to lean into in order to release so you can get squeaky clean? Please share! Btw- I didn't know too much about Herkimer Diamnonds so I did some researching and apparently they are excellent crystals for releasing and discharging the energy blockages within our energy field! I guess that makes sense why Horus gave me one. 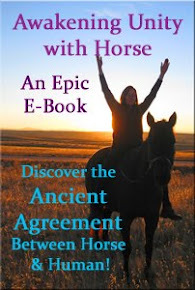 Plus, they are great for the crown chakra- which will help support the connection with the Higher Self that the horses have been helping me with. I'm going to go to the rock shop and get one!